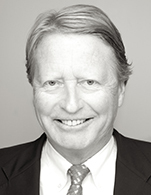 Rolf Johan Ringdal (1955) has been partner with BA-HR since 1987, specialising in public & private M&A and capital markets transactions (ECM and DCM). In recent years, he has also been involved in restructuring cases. He has a particular focus on the oil service and shipping segments, and works with Norwegian and international clients.